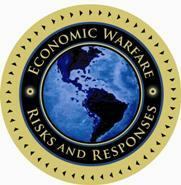 Recently, the topic of economic warfare has emerged from the shadows of think tanks and intelligence agencies. It is now openly discussed in the oilfields of Texas and the Kremlin among other places. The reason? The sudden plunge in crude oil prices. For American consumers of energy products, that may very well be the best news of 2014. But the Saudis don’t appear to be letting oil prices drop out of the goodness of their hearts. Increasingly, energy experts are saying that the Saudis are using a menacing little maneuver to manipulate the price of crude back up by punishing companies — and countries — mainly the U.S. and its energy industry, by driving prices so low that the recent increases in domestic oil production will be scaled back dramatically as fracking becomes a money-losing endeavor for both marginal and major oil producers in the U.S. The U.S. has lost too many economic wars over the last 50 years, allowing foreign producers to “dump” cheap goods onto world markets to make U.S. energy companies, textile-makers and auto-manufacturers suffer near-death experiences. Now keep in mind that it can be entirely reasonable to discuss lowering oil prices as a means of economic warfare to achieve geopolitical objectives–whether for or against us. We know that this strategy was used in the latter stages of the Cold War to destabilize the Soviet Union. Logically, the inverse is also possible–higher oil prices likewise can be used to achieve different objectives. As we noted in the book Secret Weapon, oil prices rose from $50 per barrel in early 2007 to almost $150/barrel by mid-2008, worsening the recession and force-multiplying the bursting of the housing bubble. We believe that this was “Phase One” of a planned three-phase economic takedown of America. Oil has long been considered a weapon. And, we have demonstrated that oil markets can be manipulated via financial instruments. But for the most part, people didn’t view price rises as economic weaponry. Instead, higher prices were accompanied with talk of peak oil mostly because higher prices served multiple political purposes. Obama’s Energy Secretary even discussed the need for higher not lower oil prices (as high as $9 or $10/gallon) during the 2008 campaign season (although he later repented). Denying any form of speculation became fashionable even for the uninformed. Of course, Goldman Sachs later admitted that speculation does add to the cost of oil, as did the head of Exxon Mobil, the Saudi Oil minister, and a top economist at MIT. The evidence is really irrefutable. So now, oil prices have fallen dramatically and there are multiple explanations beyond the traditional concept of supply and demand. Understanding the forces at work is critical to crafting an appropriate response. As Ron Insana noted, this should be a national priority. Western sanctions are in place so the timing is suspicious. History has shown that lower oil prices do hurt Russia (and formerly the Soviet Union). Low oil prices hurt Russia more than traditional sanctions. We are in an economic war, and as I shared on Fox and Friends, American energy development exposes Putin’s key weakness. American shale development via fracking has dramatically changed global oil markets. Some estimate that without fracking, oil would be $150 per barrel. Key Saudi leaders have commented on their concerns regarding the American shale industry. Oil prices really dropped when Saudi Arabia led OPEC’s refusal to cut production. The impact could hit American banks and investors as well, making this a very potent weapon. Some even believe it could trigger a new credit collapse. The conclusion of some major players is that the Saudis have declared war on American shale oil. The reality that the buying of oil futures does mean higher prices. Without excessive buying of futures, oil prices would fall to the $60-$70/barrel range (as they have) according to Rex Tillerson of Exxon Mobil. The revelation that the big banks have been involved in commodity markets has increased regulatory scrutiny and thus may have curtailed such activity. The fact that financial investors can be fickle and move from one idea to another quickly. In this case, hedge funds were caught overweighted in energy and have been forced to sell. Strategic investors could also use financial markets to achieve their objective (either to undermine the Soviets or the American shale industry or both). Of course, it’s never simple. In addition to the three (non-exclusive) additional explanations, there are complicating factors. For example, we know that Vladimir Putin has been using environmental groups to undermine “fracking” for shale energy. Even the New York Times and the Secretary-General of NATO have admitted the possibility although most of the evidence is either classified or obscure. We reported on this years ago, including an interview with a former KGB Counter-Intelligence head who admitted that the Soviets did, in fact, use environmental groups to undermine America’s economy. And, the UAE funded an anti-fracking film. Bottom line: well-funded environmental groups can dramatically impact American energy development. Energy is an essential component of economic growth and thus control of energy is a potent economic weapon. Second, there are multiple players with the ability to manipulate energy markets, not a few of whom could be classified as either adversaries or enemies. Third, the potential for an oil war is real and the outcome of this war could determine a great deal of our future as a nation. Of course, all of this takes place in the context of a broader economic war focused on cyber, stock markets, debt, and especially a planned attack on the American dollar. We have begun a preliminary study into the oil issue and are contacting potential financial supporters. It is essential that a robust study be conducted soon as the implications are enormous. We need an objective review separated from the outside influences intent on harming America. Once funded, we will complete and promote our study with policymakers, the media, and the American public, working with The Center for Security Policy, The Chesapeake Energy School of Business at Oklahoma Wesleyan, and the NSIC Institute. We might even turn the findings into a best-selling new book similar to Secret Weapon and Game Plan. Our track record in this area is pretty strong as we have developed a national following, received substantial media coverage, and developed key relationships at the State and Federal level. Educate yourself on the oil wars and their importance as a means of economic warfare. Help us identify and contact potential supporters for a financial study. [This support may come in the form of a donation to a qualified non-profit organization.] Contact me through info@nsic.org if you have a suggestion or connection to share.